Shrimp farming has been one of the most important economic activities in many of the tropical countries of Asia and Latin America during the last three decades due to high demand mainly in USA, Europe and Japan. Shrimp export contributes significantly to the national economy, employment generation and livelihoods and has become an important consumable commodity accounting significantly to global trade in the recent years. Shrimp farming has been associated with a number of social and environmental issues and thus the industry has a conflicting trade off between the economic gain and the negative social and environmental consequences. This book focuses on the production, trading, livelihoods and sustainability of the sector including environmental and social issues of shrimp farming and industry from global, regional and Bangladesh perspectives. 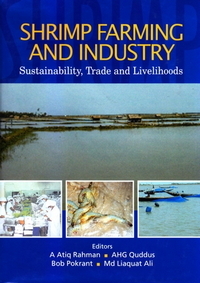 Opening with an overview chapter, the book contains eight chapters on global issues which cover global market for shrimp, trade, debate on shrimp farming development, economic consideration of shrimp farming, quality management practices for safe and dependable aqua-food, shrimp diseases and sustainability of shrimp farming and industry. The section on regional issues comprises of five papers on country profile of shrimp industry of India, Thailand, Bangladesh, Vietnam and Sri Lanka and one paper on risk management analysis of export oriented shrimp farming and industry in South Asia. 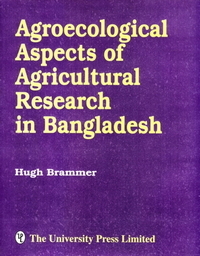 The section on national issues of Bangladesh comprises of twelve papers which focus on the growth of shrimp farming and industry in Bangladesh, its social and economic impacts, political economy and cost benefits of shrimp farming, legal and institutional issues, sustainability, opportunity and challenges including suggestions. The book should be of interest to all stakeholders in shrimp farming and industry.